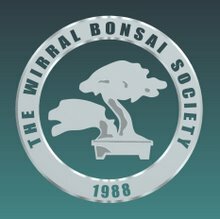 Great News and Congratulations to you all who partcipated or helped. Ian W our Chairman opened the meeting welcoming everyone and thanked members for thier support at Swindon and District Winter Image Show and look forward to going back next year if all goes well. 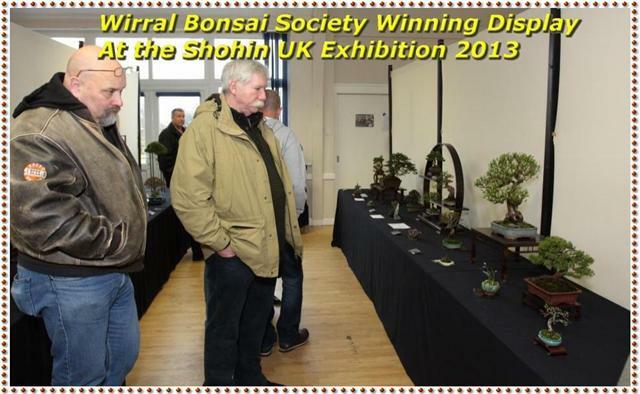 This exciting national event dedicated to Smaller Bonsai,sizes ranging from Mame Size is approximately 10cm from soil surface, Shohin Size is approximately 20cm from soil surface, Chuhin Size is approximately 45cm maximum from soil surface, will be held on Sunday, March 24th 2013 at Failand Village Hall, near Bristol, UK. 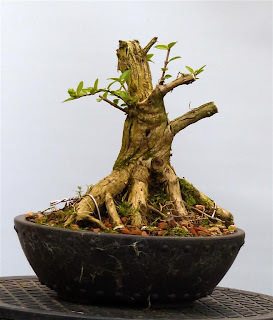 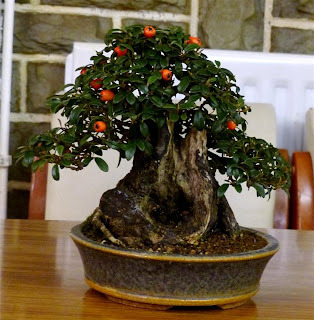 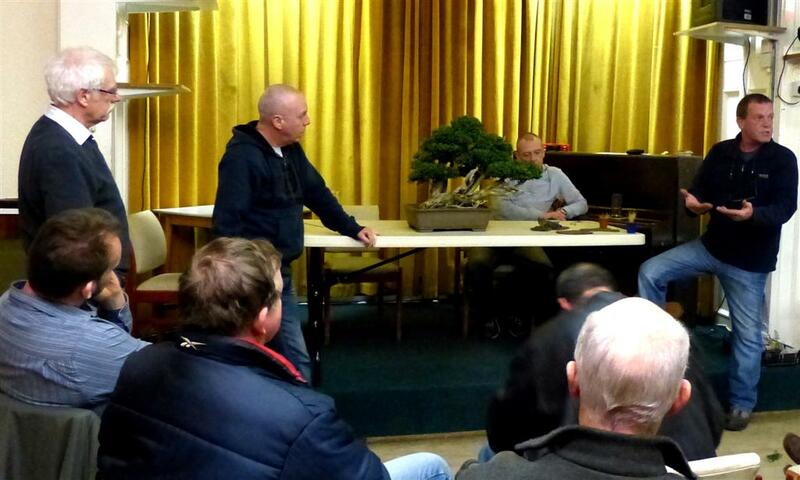 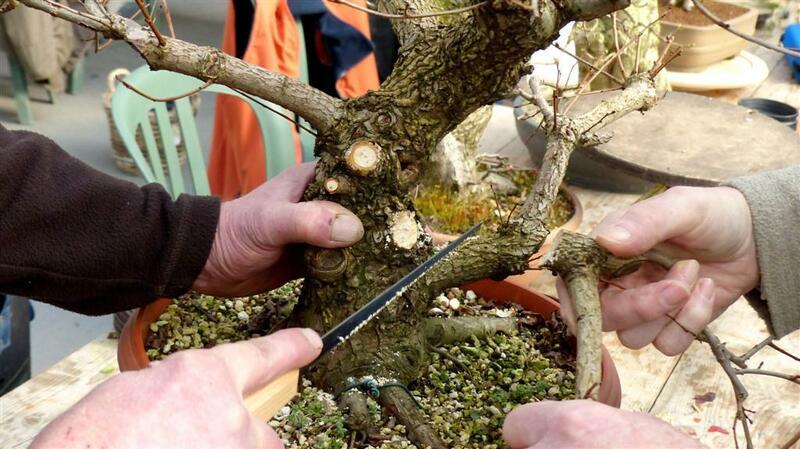 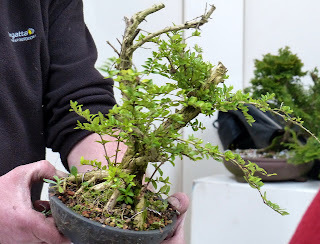 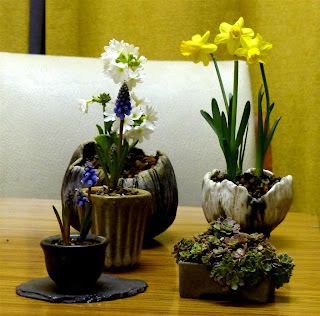 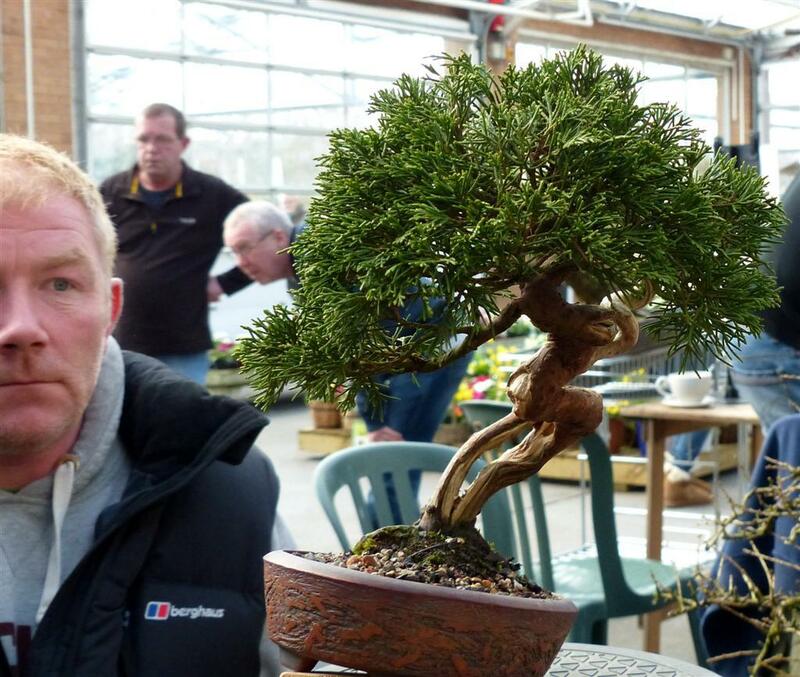 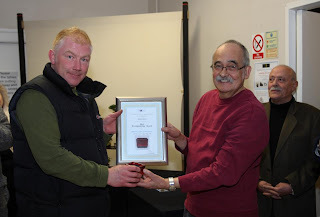 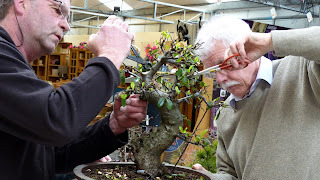 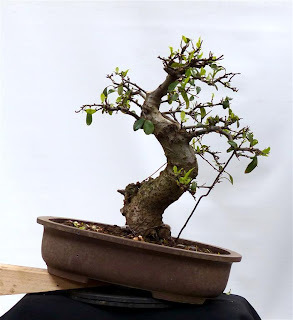 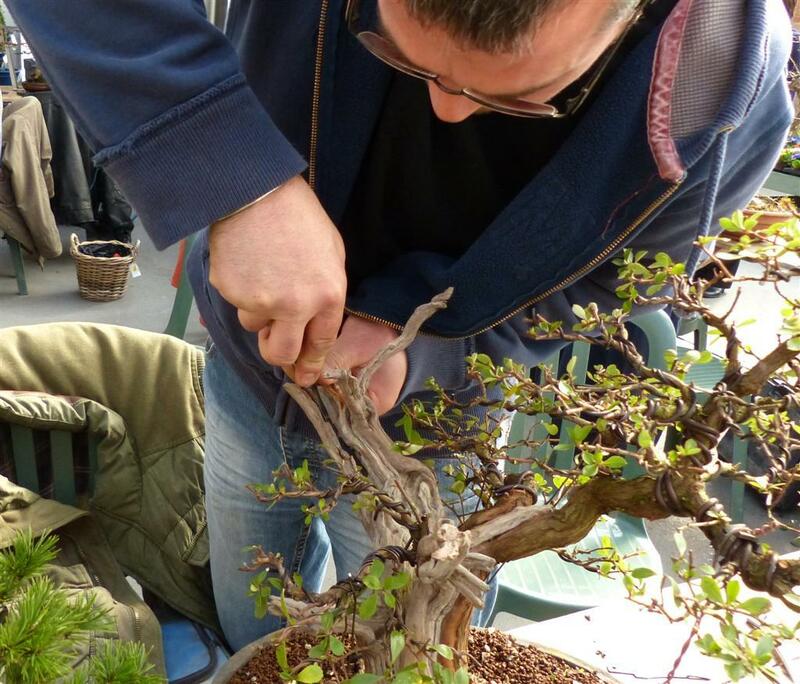 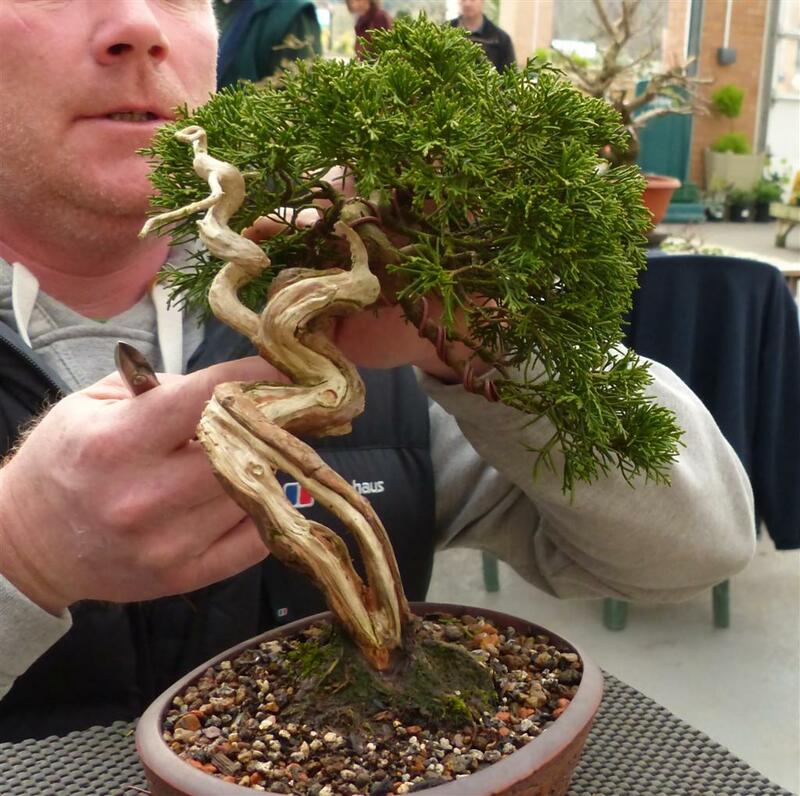 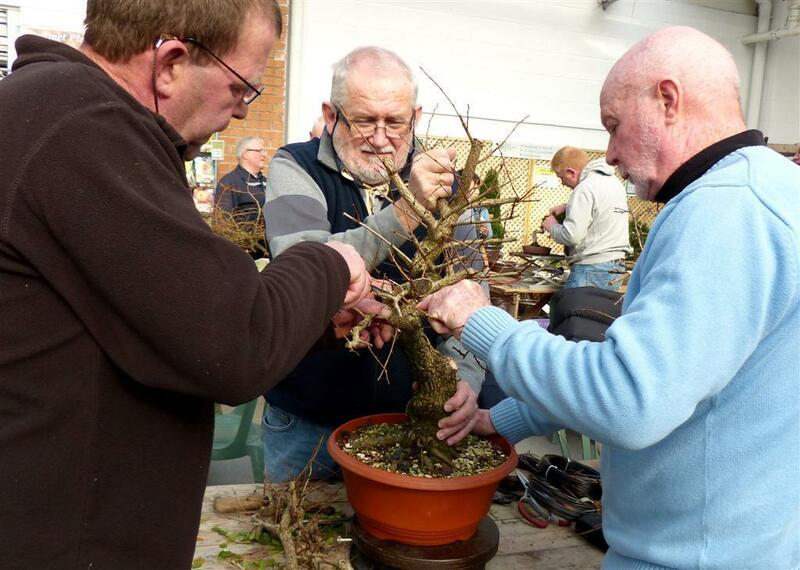 his new event is being organised by Mark & Ritta Cooper and Bob Bailey, with the support of the Bristol Bonsai Society, the British Shohin Association, and the Federation of British Bonsai Societies. 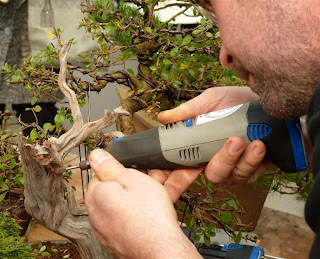 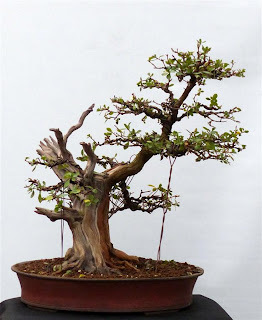 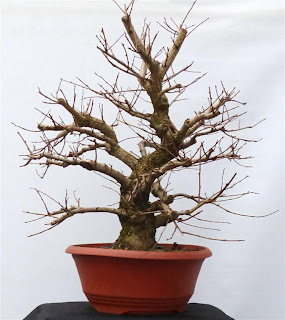 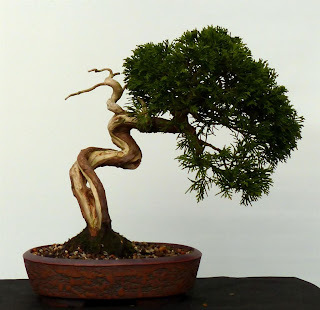 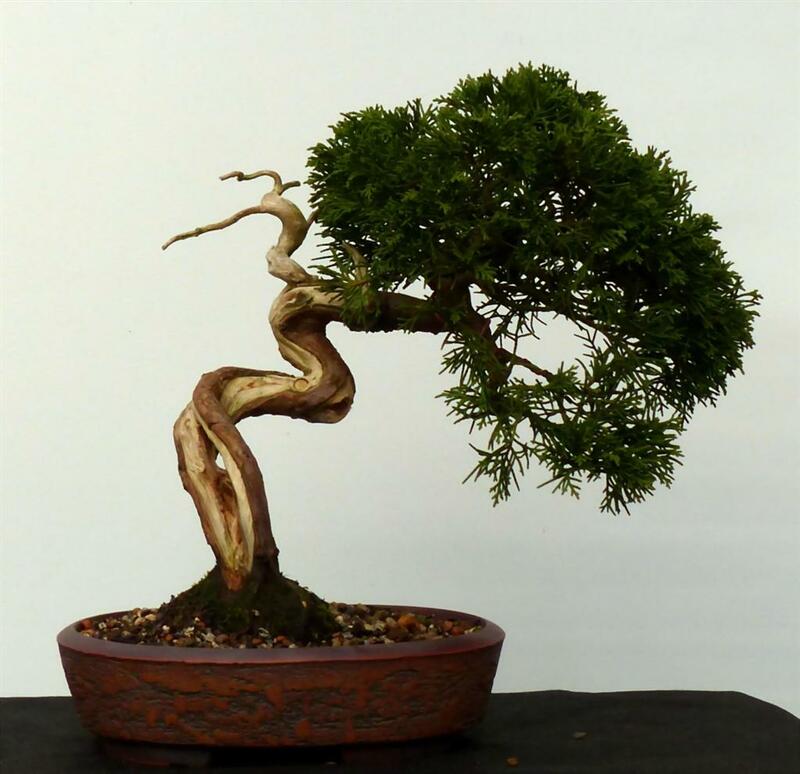 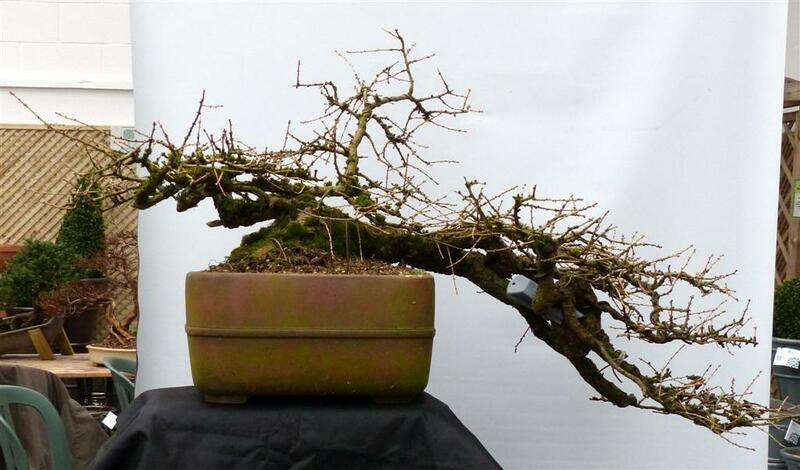 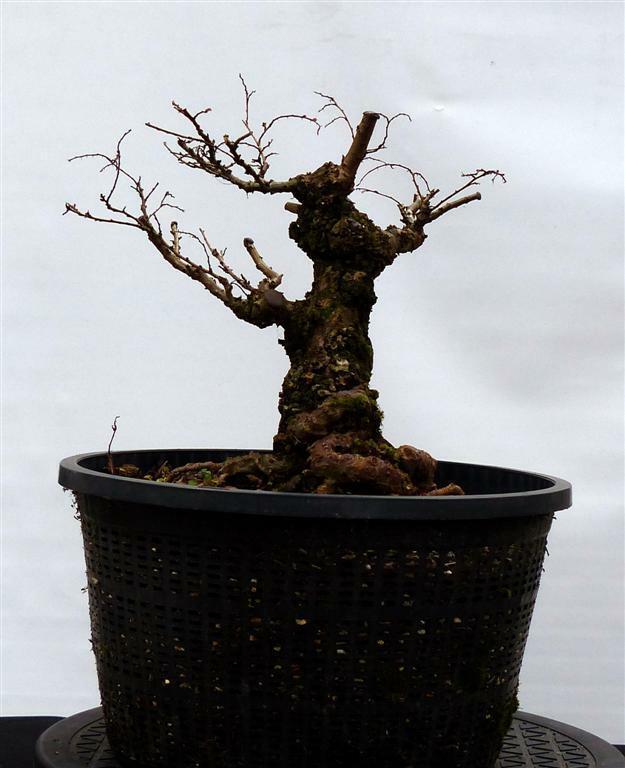 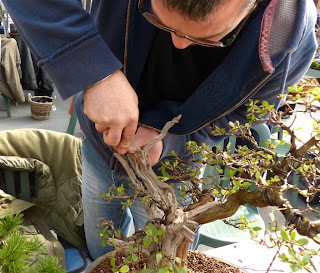 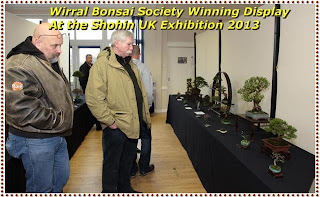 This will be the only UK National Exhibition Dedicated to Shohin Bonsai in 2013 and will be a “must visit event for all Shohin Bonsai enthusiast where on show will be Some Amazing, Fantastic,Impressive,Marvelous,Stunning Wonderful SMALL BONSAI TREES Displayed to a Extremeley High Standard. 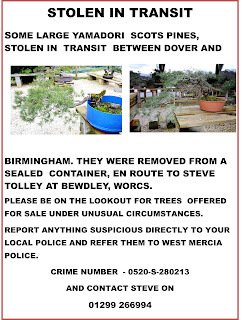 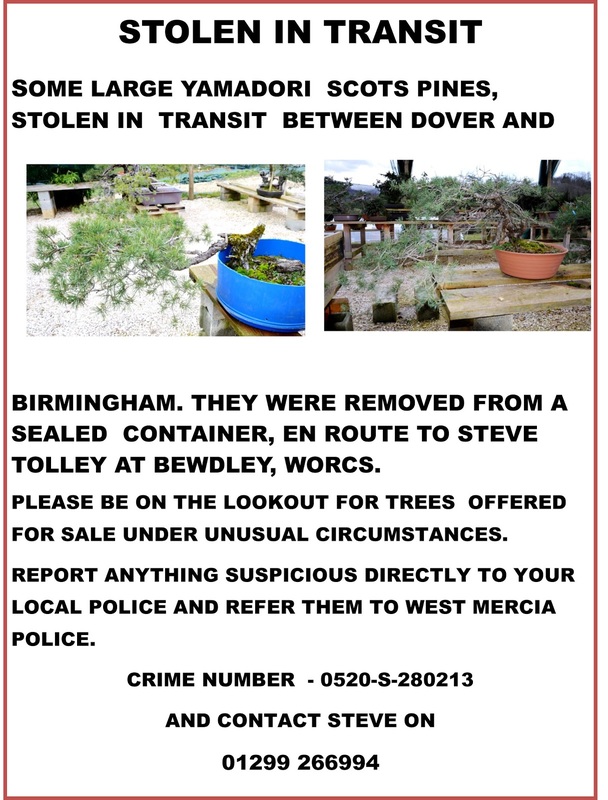 With his Buxus Sempervirens/Common Box (I hope) or was it Buxus Microphylla/Japanese Box. This was discussed at great length by Everyone mainly because of what presentation could be added to compliment the arrangement between Pot, Tree and Accent support .Many suggestions very voiced and interesting concepts . 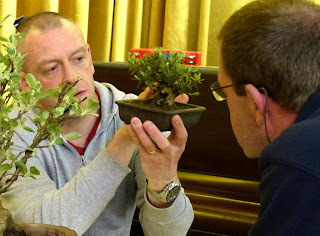 Ian & Tony 'relax' during the critique..
.. and fully concentrating on the nice Azalea. ...plus some nice seasonal accents. 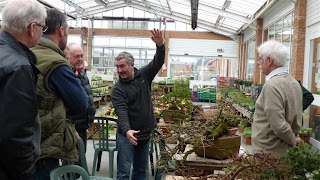 It was back to Portsunlight Garden Centre here in the Wirral were we always receive a warm and Friendly welcome Being Mother Sunday the garden centre was busy in other areas. 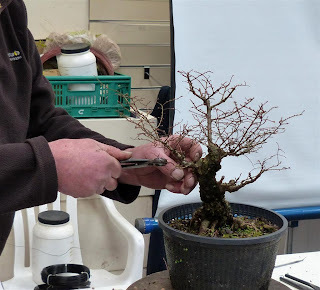 Rod, hard at work refining his deadwood via power..